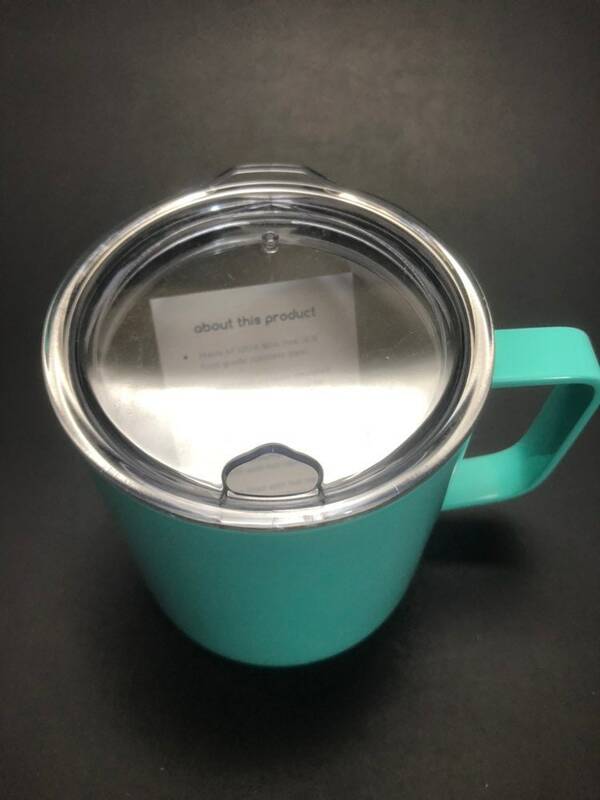 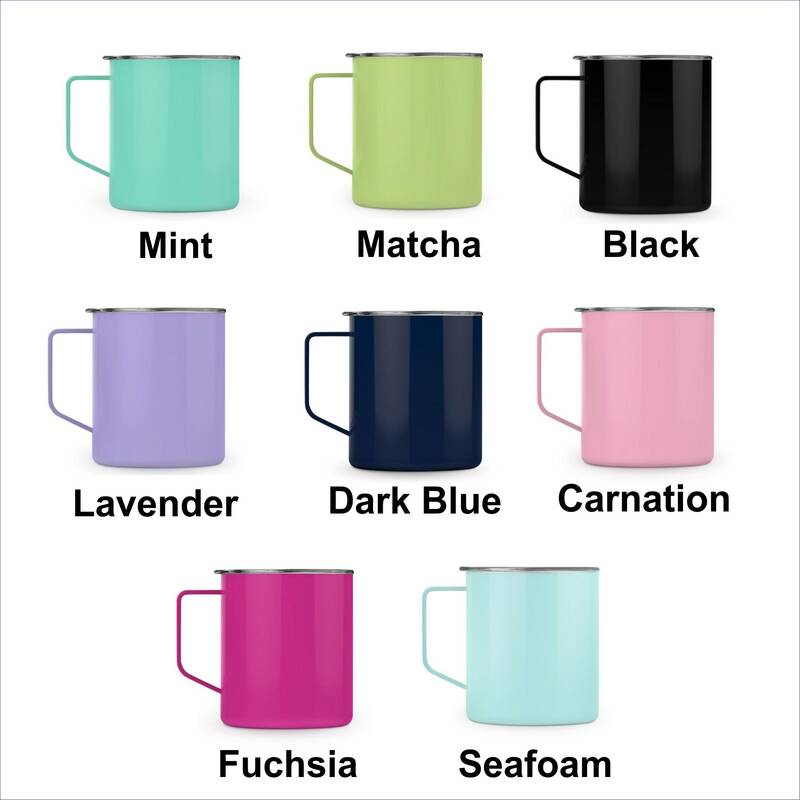 Enjoy your favorite drink anywhere on the trail or on the deck with these 14 oz stainless steel insulated handled mugs. 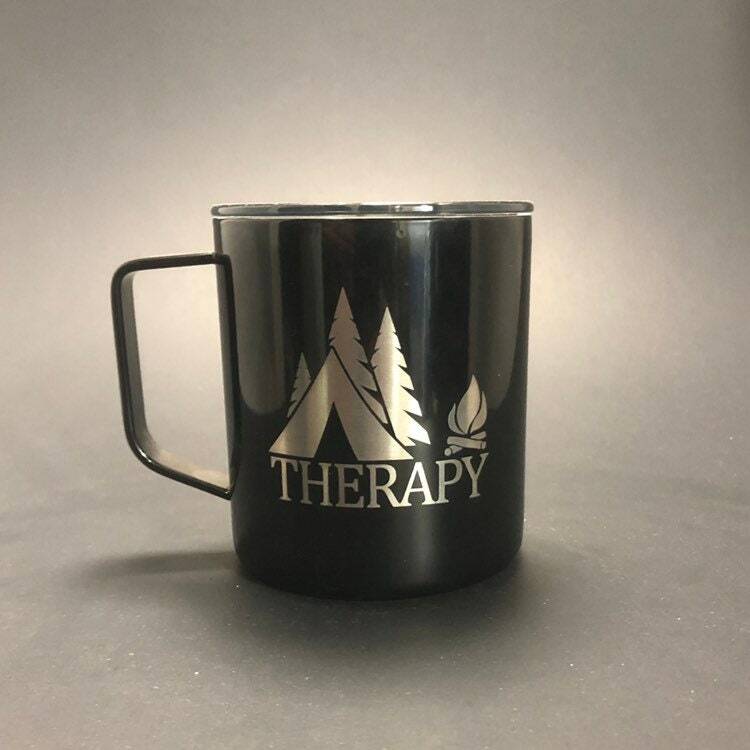 These make a great, lightweight mug to clip on your backpack, bring camping or take it outside. 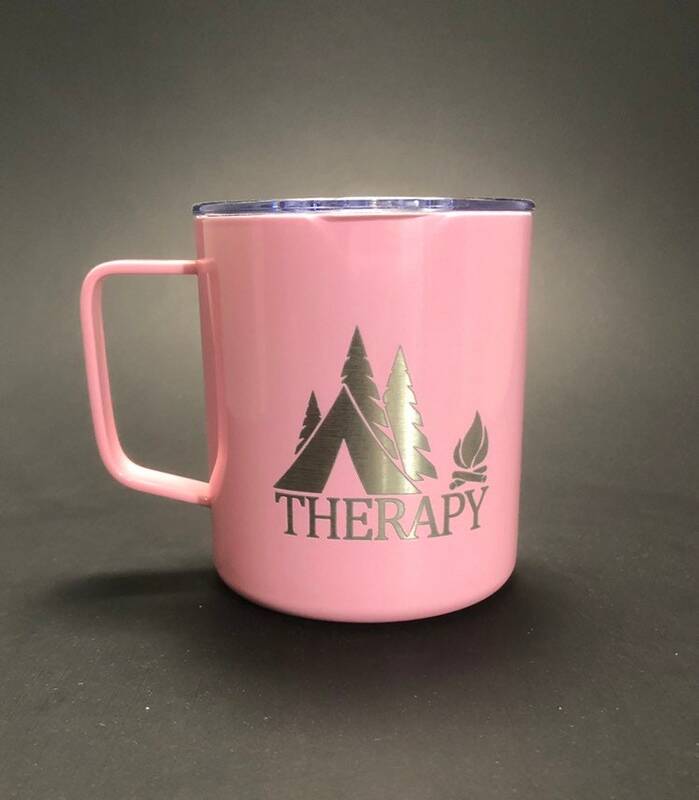 This mug features a Camping Therapy design permanently etched into the powder coating. 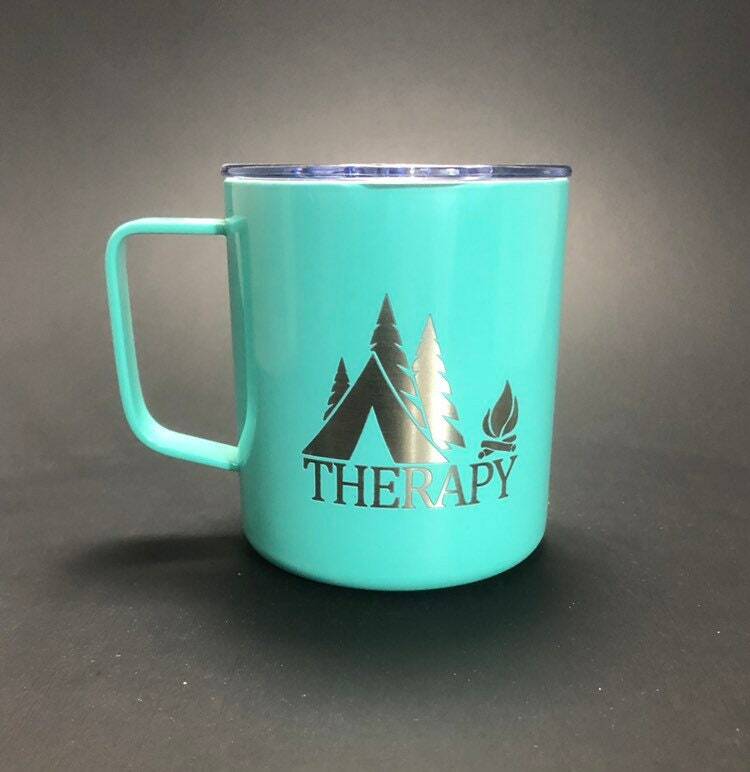 This is NOT a sticker and will not wear off.